A little sketch of a pin-up style woman for the larger oil painting "Scarlet". Using watercolours on paper I've played with the composition and colouring of the image. 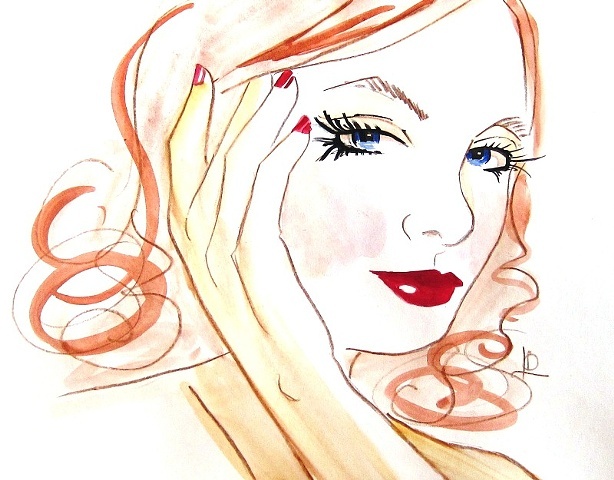 Scarlet has vivid red lips and nails... and beautiful blue eyes. This is a great opportunity to add to your art collection- without breaking the (piggy) bank.